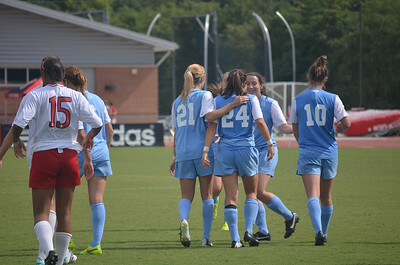 UNC's Paige Nielson (24) is congratulated by teammate Cameron Castleberry (21) after her goal at Sunday's soccer game against NC State University. 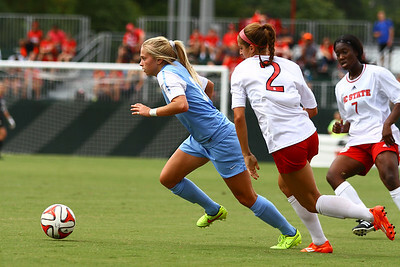 Nielson's goal was the second team goal for the Tar Heels. The Lady Tar Heel's won 2-1 against the Lad Wolfpack. 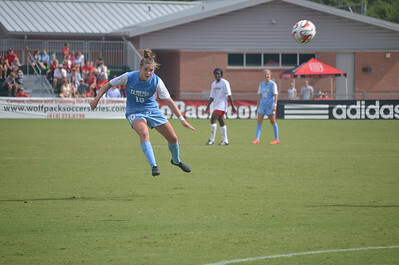 UNC's Joanna Boyles (10) heads the ball in UNC's soccer game against NC State University on Sunday, Sept. 29, 2014 in Raleigh, NC. 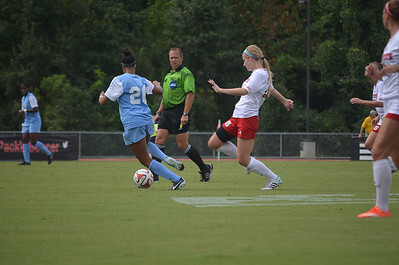 The Lady Tar Heels won 2-1 against the Lady Wolfpack. UNC's Sarah Ashley Fristenberg (54) dribbles past NC State's Jenna Kalwa (3) in Sunday's game against NC State University. The Lady Tar Heel's won 2-1 against the Lady Wolfpack. UNC's Alex Kimball (47) dribbles past NC State's Jenna Kalwa (3) in Sunday's game against NC State University. The Lady Tar Heel's won 2-1 against the Lady Wolfpack. UNC's Cameron Castleberry (21) and NC State's Dayna Tomayko (2) battle for the ball at Sunday's soccer game in Raleigh, North Carolina. The Lady Tar Heel's won 2-1 against the Lady Wolfpack. UNC's Paige Nielson (24) and NC State's Franziska Jaser (13) battle for the ball at Sunday's soccer game in Raleigh, North Carolina. The Lady Tar Heel's won 2-1 against the Lady Wolfpack. UNC's Jewel Christian (26) dribbled past NC State in Sunday's game against NC State University. 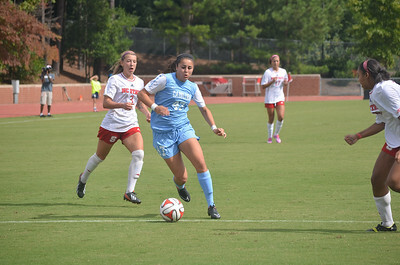 The Lady Tar Heels won 2-1 against NC State University. 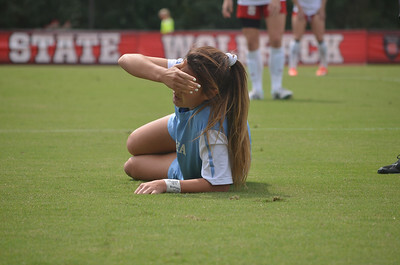 UNC's Brooke Elby (93) was carried off the soccer field due to a knee injury shortly into Sunday's game against North Carolina State University in Raleigh, NC. The Lady Tar Heel's won 2-1 against the Lady Wolfpack. 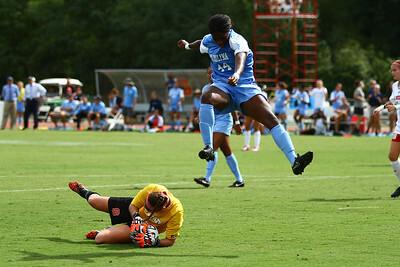 UNC Defender Satara Murray leaps over NCSU Goalkeeper Mackenzie Stelljies (26). 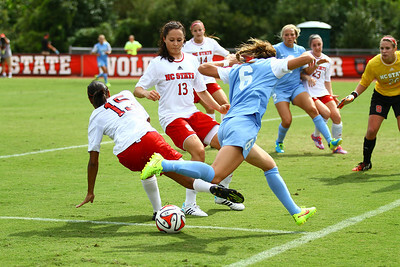 UNC Forward Summer Green (6) collides with NCSU Defender Alyson Brown. 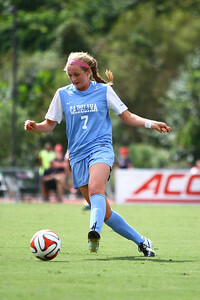 UNC Midfielder Annie Kingman (7) takes a shot during the second half of the match. UNC Forward Amber Munerlyn (8) takes a shot during the second half. UNC Midfielder Cameron Castleberry (21) runs the ball down the field. 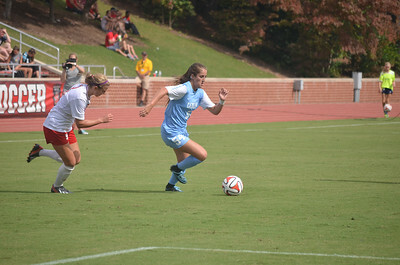 UNC Midfielder Megan Buckingham (18) runs the ball down the field. 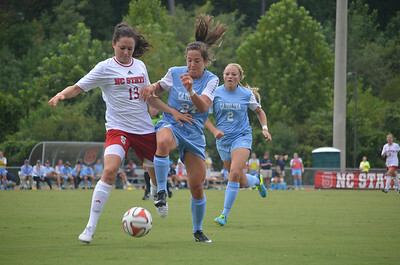 UNC Forward Amber Munerlyn (8) fights for the ball against NCSU Defender Danya Tomayko (2). UNC Midfielder Cameron Castleberry (21) tries to prevent the ball from going out of bounds. UNC Midfield Annie Kingman (7) runs the ball down the field. 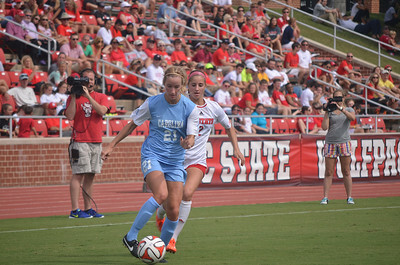 UNC Forward Paige Nielsen (24) and NCSU Defender Franziska Jaser (13) compete for the ball. 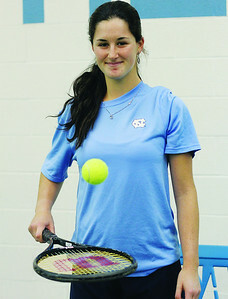 UNC Midfielder Megan Buckingham (18) breaks away from NCSU.